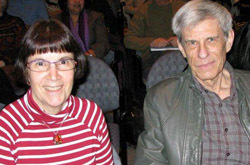 ANN-LEE SWITZER is a historian and writer with an interest in the Japanese Canadian experience as well as Emily Carr. In 2007 she published This and That, the Lost Stories of Emily Carr (Touchwood Editions). A regular writer for the Victoria Nikkei Society's Forum, she has also contributed to Nikkei Images and Nikkei Voice. She and Gordon Switzer published a booklet, Gathering Our Heritage (about seaweed harvest) in 2006. She and her husband live in Victoria, B.C. GORDON SWITZER is a historian, writer and editor who grew up in Japan. A long-time student of Zen Buddhism, he previously published a biography of D.T. Suzuki (Buddhist Society). He and Ann-Lee have just published a history of Japanese Canadians in Victoria before the war, Gateway to Promise: Canada's First Japanese Community. They are both active with the Old Cemeteries Society in Victoria and previously published Stories of Japanese Pioneers in Victoria (Ti-Jean Press, 2009). We embarked on this journey with only a cardboard box of documents, given to us by Kiyoshi Kay Shimizu before her move from Victoria back to Ottawa. The Old Cemeteries Society had asked us to compile a booklet about the approximately 150 people of Japanese descent who are buried in Victoria’s historic Ross Bay Cemetery. In addition to telling about specific people, we thought the booklet should be introduced by a short history of the Japanese community in Victoria, which we knew had been expelled in 1942 and never returned. Because neither those exiled nor their descendants had returned to live here, Victoria had lost touch with the history of the Japanese community. Today there is a new Nikkei community here that contains none of those people. Surely they and other interested persons would like to know the stories of those who came before. We were sure someone must have written that history, as part of a larger work perhaps. We searched but found nothing in the books relating to the general history of Japanese in British Columbia about the Victoria Japanese community. Nikkei Legacy, by former resident Toyo Takata, contained only a few pages, but was more a general history of the settlement and advancement of Japanese in Canada. Other books were even less specific. Much about Vancouver; why not Victoria? After all Victoria was a thriving town, beginning in 1858, when Vancouver was not even the name of a place. We began to dig around. 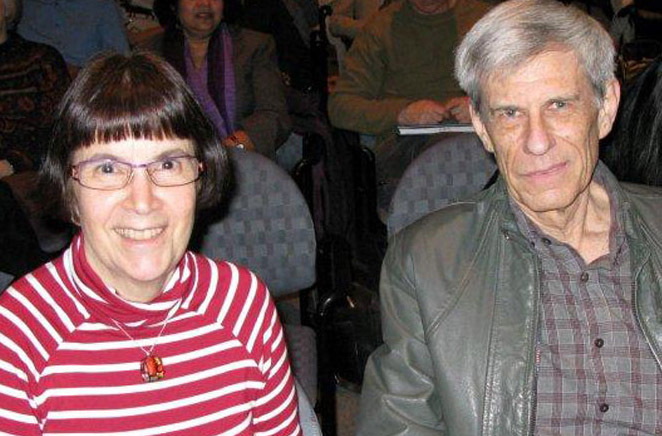 Both Ann-Lee and Gordon Switzer have had a long-standing passion for history. When we moved to Victoria eleven years ago, we joined the many fellow travellers in the time-line of history, who seem more abundant than is usual in a city this size. A confluent interest in Japanese culture motivated us to join the Victoria Nikkei Cultural Society (VNCS). Gordon spent most of his early years from three till age 20 in Japan. Ann-Lee had absorbed an affinity for things Japanese from her childhood in cosmopolitan New York City—and from being born on Boys’ Day, May 5th. If the history of the Japanese in Victoria had not been written, that was not about to stop us. Kiyoshi Shimizu’s husband Kunio (deceased) had grown up in the Victoria area. Kiyoshi’s brother-in-law was writing a short family history, eventually published in Nikkei Images. We began corresponding with the author, Tsutomo (Stum) Shimizu. What a wealth of information he had! And photographs. And friends, and his brother Yoshio (Yon) Shimizu. We had made connections. Eventually, in 2007, we published a booklet called Japanese Pioneers of Victoria. Having only nine pages to devote to history, we realized there was so much we did not know and, we were sure, so much more to be told. Being researchers, we knew where to go next: the Archives! We began reading the old newspapers, at that time available as microfilm in the BC Archives and at the University of Victoria. Because we were engaged in other research, writing and publishing projects, this part-time search took awhile. In fact it has stretched over five years. Bit by bit we were getting a sense of what the Japanese community had been like, though many mysteries remained. A conversation overheard by chance led to a local church archives. We visited other archives. We even travelled down the Washington coast to find where some shipwrecked sailors could have made landfall. Sometimes it seemed we were on a mission to uncover a Victoria secret, leaving no stone, document or microfilm unturned. The VNCS followed our work with interest and encouragement; various of its members supported us with suggestions and the society covered expenses. When first presenting our ideas to the Board circa 2008, we estimated the book would be about 100 pages. We secretly wondered how we could even fill that. We met with people who had lived here as children, we conducted phone interviews, we corresponded by e-mail. Folders filled, the e-mails flew with queries and answers, photos were sent to be copied and returned. We searched libraries to get a background in the history that came before the Japanese arrived, and what the early city of Victoria was like when they landed. We checked facts, looked for corroborating evidence. For example, there were many conflicting versions about Manzo Nagano’s arrival in Canada. We began to write. A book was on the way. Gradually we realized 100 pages was a not nearly adequate. People told us things we had not imagined, about the Japanese Church on Pandora and Quadra, about the Showboat in the harbour, about their escapades, C.G.I.T., the pear tree in Rev. Ogura’s yard, hunting for matsutaki, the old Osawa hotel, the Judo club. A lost world had emerged, pieces of a puzzle to be assembled. We’ve done our best to bring some of it to life. Perhaps the spirit of Toyo Takata was watching over us in our efforts; there were just so many coincidences serendipities, and generous offerings that came our way. Although he was not able to return to live in his beloved home in Greater Victoria, Toyo is actually present here, in the projects he began while he was living, especially the gardens. He even suggested the title for this book, for he dubbed Victoria the Gateway to Promise. And for a little while in history, it was.